Online Registration is now closed! We will be taking registrations at Packet Pick Up on Friday at the Race Site from 5-7pm. We will NOT be taking registrations on race morning. 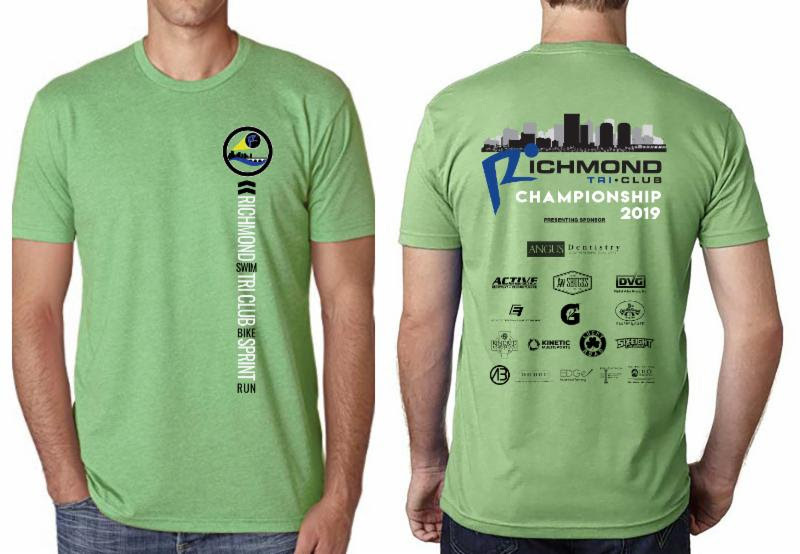 The Richmond Triathlon Club Sprint Triathlon Presented by Angus Dentistry is located at the SWIM RVA facility at Ukrop Park, home of the 2008 Olympic Trials pool! This venue features a 50-meter, 7’7″-all deep pool, allowing us to offer the most unique pool swim experience in triathlon – a 400m open water pool swim. No more waiting for hours in the cold to get into the pool. No more problems with “improper” seed times. All athletes will be in the pool within 25-minutes of the start gun. There is an additional 25 yd warm up pool for those who wish to warm up prior to their wave start! Follow the swim with a 20k bike, 5k run and a breakfast feast! Swim Course: The swim course makes this race really stand out. The 50 meter competition pool is very spectator friendly and will be used in a unique fashion in that we will have athletes start in groups of 10 athletes as they head for the first turn buoy. Yes, we will have turn buoys instead of lane lines for this event as it is the first “pool open water race” in the series! Groups of 10 athletes start every 30 seconds then race their way through the course. Instead of flip turns under lane lines, you’ll race down and back in each lane and turn around the buoys anchored just off the walls. If you need to rest on the wall or still want to do flip turn, that’s OK by us. Just make sure you start in your assigned group! Once you finish the swim you’ll run 15 meters to the transition area to towel off then head out on your bike. Bike Course: This 20k bike course is mostly flat with a few small rollers mixed in. The first and last 2 miles of the course are closed to traffic and super fast. You’ll ride by the local airport and get a nice little tour of Chesterfield County prior to coming back to transition. Run Course: The 5k run is a mostly flat, 2 loop course. The run leaves transition in front of the pool then winds its way around the Richmond Kickers soccer complex. Athletes will start their 2nd loop by running past the finish line. 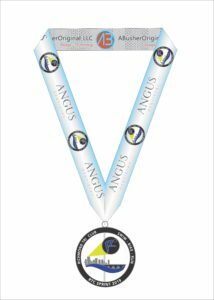 Athletes finishing their 2nd loop head under the arch to get their well deserved finishers medal! Water is available 4 times throughout the course. You’ll love our swag! 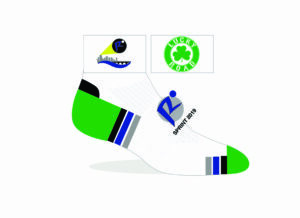 All athletes receive a tri-blend race shirt, custom race socks, and a super cool, RTC themed finisher’s medal. Also, don’t forget the DJ, bounce house and signature RTC post race catered breakfast feast. Join the Richmond Triathlon Club (RTC)! As a club member you get a discount on this event and get to train with and play with triathletes throughout the greater Richmond area. The RTC is over 800 members strong and is a group devoted to promoting multi-sport activities in the central Virginia Area. Note 1: All participants must collect his/ her own event packet. 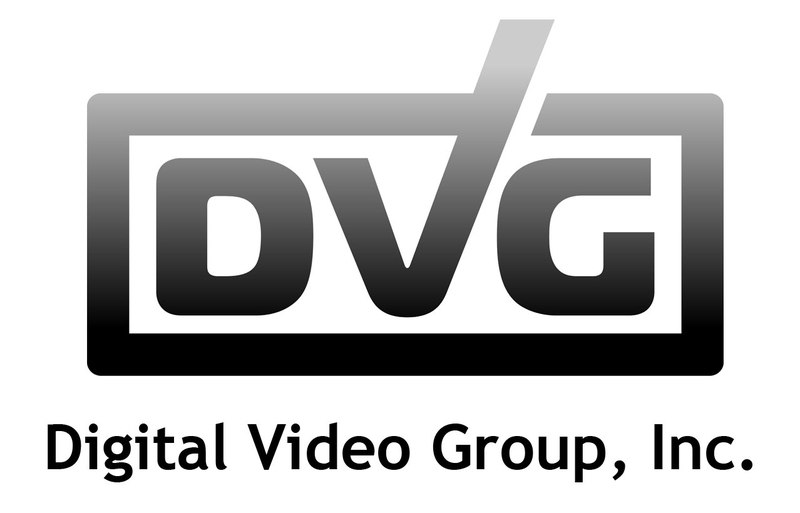 Photo ID is required in order to collect event materials. NO ID = NO EVENT. HINT if you take a photo of your ID with your phone, that will be sufficient for photo ID purposes. Note 2: There will be NO race day registration. The last day and time to register is at packet pick up on Friday (If you show up on Friday you will get in). Pre-Race Meeting: An extensive pre-race meeting will take place at 6 PM on Friday. If this is your first race, come to this meeting to have your questions answered. A second brief meeting will occur at 6:40 AM on the pool deck race morning. If you are interested in volunteering with the RTC at this event, click HERE.